Victoria’s Secret catwalker Gigi Hadid got wet and wild while yachting in Miami on Sunday. 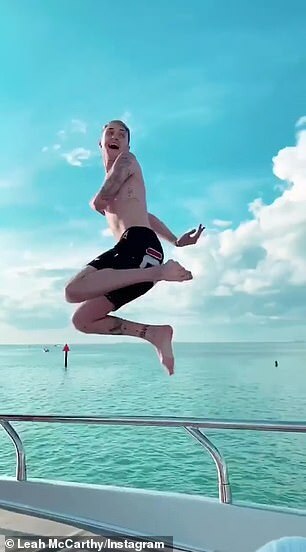 The 23-year-old IMG Model – who boasts 59M social media followers – Insta-storied a clip of herself leaping off the luxury vessel while clad in a maroon string bikini. 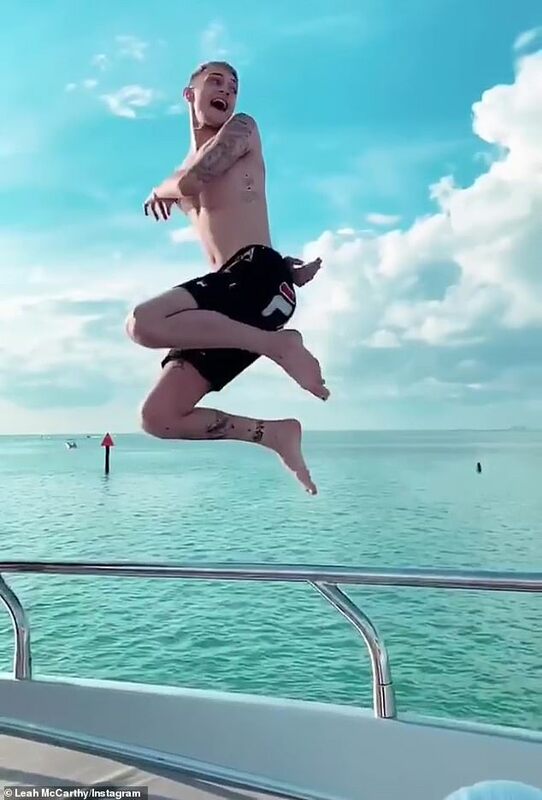 Also aboard the ship was Hadid’s younger brother Anwar, who showcased his 6ft1in tattooed form in nothing more than black Fila swim trunks. 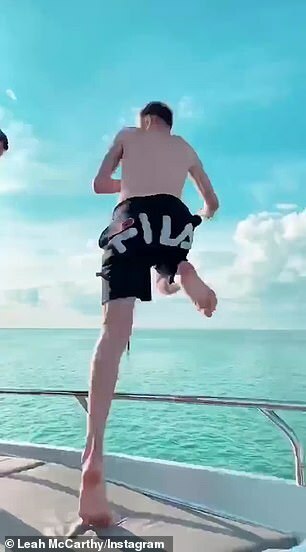 The 19-year-old IMG Model demonstrated his leaping prowess with a full twist before landing in the Atlantic Ocean. The half-Jordanian, half-Dutch siblings soaked up the sun together while partying with pals including the artist Austyn, Farryn Truen, Leah McCarthy, Tyler Jove, Jamie Zuckerman, and Jacob Reyf. 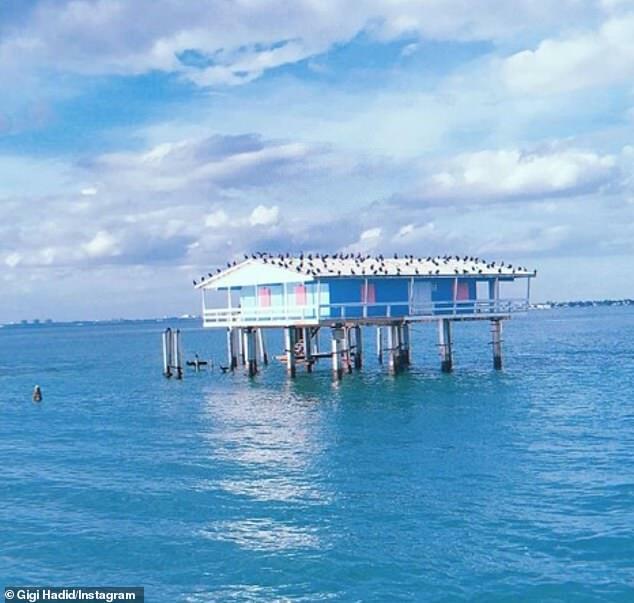 Gigi (born Jelena) and Anwar cruised picturesque Stiltsville, a group of pastel-colored wood stilt houses perched on sand flats a mile offshore from the Cape Florida lighthouse. 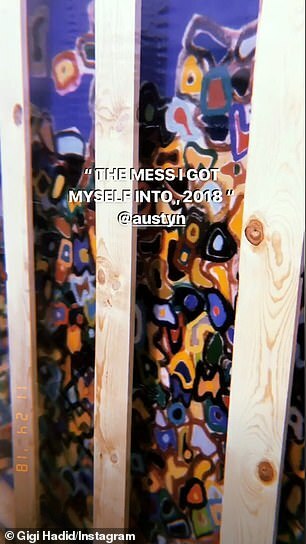 On Saturday, the Malibu-born socialite used some of her $13M fortune to procure Austyn’s painting ‘The Mess I Got Myself Into’ at her Mid-Explosion exhibition inside the Bill Brady Gallery. Noticeably missing was Gigi’s on-again boyfriend of four years – former 1D boybander Zayn Malik – whom she prematurely ‘split’ from back on March 13. The New School drop-out and her 22-year-old sister Bella will next storm the coveted catwalk during the Victoria’s Secret Fashion Show Holiday Special, which airs December 2 on ABC. Gigi, Bella, and Anwar all have nepotism to thank for their modeling careers since they happen to be the children of real estate millionaire Mohamed and RHOBH alum Yolanda. ‘People say that I don’t deserve to be where I am because I come from this successful family, but my parents were f***ing hardworking. My dad was a refugee. My mum was on a farm, went to New York, and worked to send money back to her family,’ Hadid said at a Reebok event in Sydney on November 16.